By far the most widely-produced design by Dayton Wright was the DH-4. This is the 1,000th example, suitably marked for publicity phtographs. Completed on 31 July, 1918, it arrived in France on 7 September. Nine Hour Cruiser (30130) with enlarged tank between the Liberty engine and cockpits. This Dayton Wright conversion of a DH-4 is believed to be the Honeymoon Express. In any event, it has an enclosed rear cockpit seating two in tandem. The 1914 model Flying-Boat (B-3) on Lake Salubria. 1915-model Flying-Boat (B-4) with streamlined bow and extended fin. With the MB-3, Thomas-Morse had the chance to obtain a major US Army contact which would have guaranteed it a postwar role as a major manufacturer. 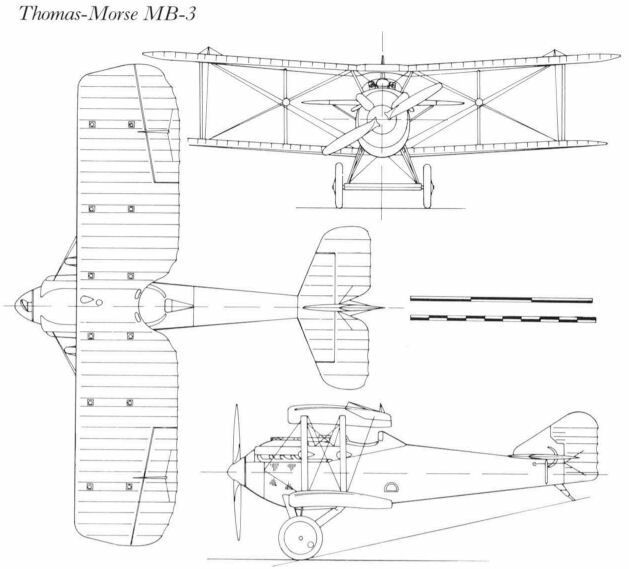 However, through competitive bidding, Boeing obtained the order for the improved MB-3A and Thomas-Morse turned its attention to the less lucrative task of developing all-metal designs. The second production MB-3 at McCook Field, marked P-164. 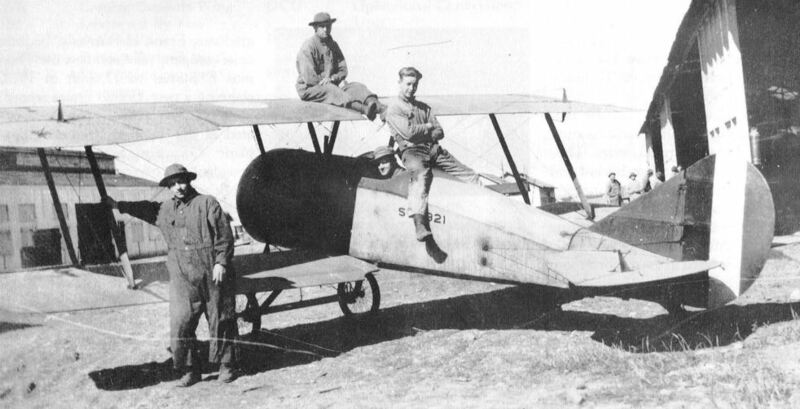 Three clipped-wing MB-6s (400hp Wright H-2) were produced for the US Army for the 1921 National Air Races. The first Navy MB-7 racer, with an Alula wing, crashed during the 1921 races at Detroit. 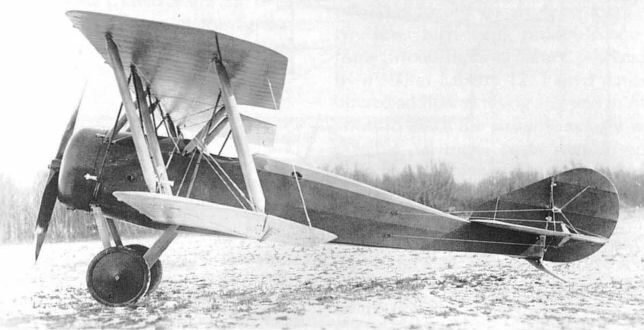 The prototype S-4 with 100hp Gnome had a 29ft 5in long fuselage. 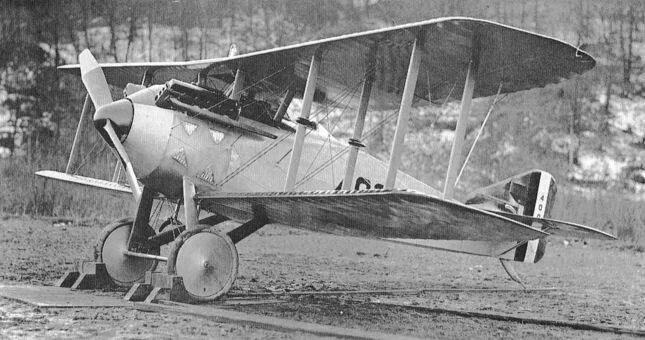 More 'Tommy Scouts' were built than any other Thomas-Morse type and it was the most famous American aircraft of the First World War, even though it took no part in the conflict. This is an S-4B in 1918-style US Army Air Service markings. S-4C 38635 (Le Rhone C-9) at Rockwell Field, San Diego, in late 1918. 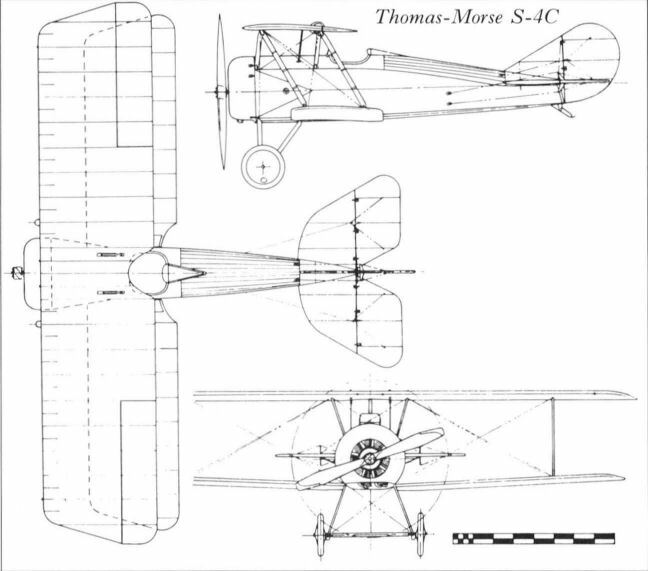 The Thomas-Morse S-4C was the nearest thing to a single seat fighter that America was to produce during World War I. The design of the S-4 was started in the autumn of 1916, ahead of the January 1917 founding of the Thomas-Morse Company that was to produce it. Initially powered by the troublesome 100hp US licence-built Gnome Monosoupape, later replaced by a 100hp Le Rhone C9, the first S-4 made its initial flight in the spring of 1917, leading to its evaluation by the US Army's McCook Field in June 1917. Satisfied by these trials, the Army ordered 100 modified machines with a shorter fuselage and smaller control surfaces, known as S-4Bs, for use as unarmed fighter trainers. 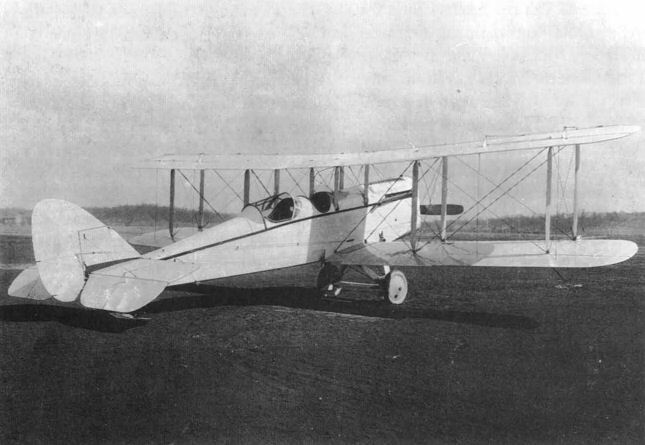 Ordered in October 1917, the first of the S-4Bs were delivered the following month. In January 1918, the Army placed an initial order for 50 of the single .300-inch Marlin armed S-4Cs. In all, the Ithaca, New York-based company went on to build a known 609 S-4s, of which the S-4C was the dominant version. Even US Navy bought a known twelve. Although clearly obsolescent by 1918 standards, the underpowered and underarmed S-4C, with its 95mph top level speed was reported to have been quite agile, if a little tail-heavy. 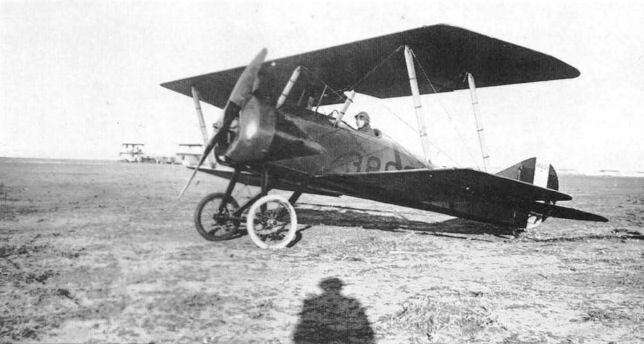 The US Army S-4C seen here, serial no 38635, was photographed at San Diego's Rockwell Field in late 1918. The S-4E was designed for aerobatic training, with a 110hp Le Rhone and tapered wings. The S-4E was later raced by Basil Rowe with a 135hp Aerornarine 737 engine with the name Space-Eater. The S-4E Space Eater, fitted with an Aeromarine B engine and cylindrical Lamblin radiator between the undercarriage struts. With two seats and dual controls, the S-6 was intended for the civil market but only one was built. Also a two-seater, the S-7 had a single cockpit and side-by-side seating and was advertised as the Sociable Seater. This OX-5 conversion of an S-4 has the second seat behind the pilot. The Yackey Sport, a two-seat conversion of the S-4, had an OX-5 watercooled engine. 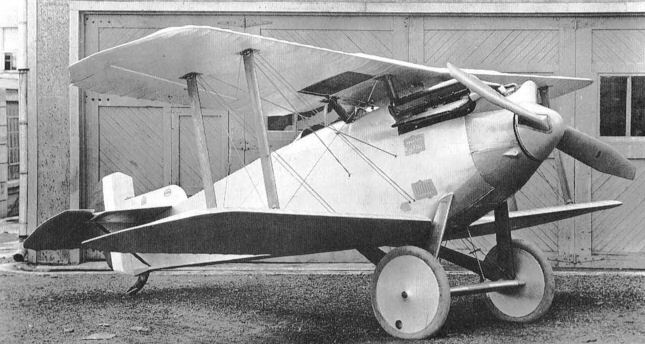 Popular on the civil market after the First World War, there were a number of conversions made to the S-4. 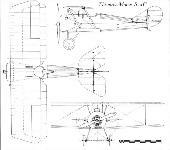 One of the more radical was made by Lawrence W Brown at Clover Field, Santa Monica, California, who turned an S-4 into a two-seat monoplane with a Curtiss OX-5 engine and a radiator from a Curtiss JN-4. Original Flying-Boat, on Lake Salubria in 1912. Second Flying-Boat, with a steel-covered hull and a 90hp Austro-Daimler engine. Three-seat Nacelle Pusher (1913) with 90hp Austro-Daimler engine. A Bug on its launching framework. A Bug about to be launched during trials as NAS Pensacola, Florida. Prototype HS (135 hp Sturtivant) at Renwick Park (now Stewart Park), Ithaca, in summer 1915. The small window in the fuselage forward of and below the cockpit assisted judgement in landing. 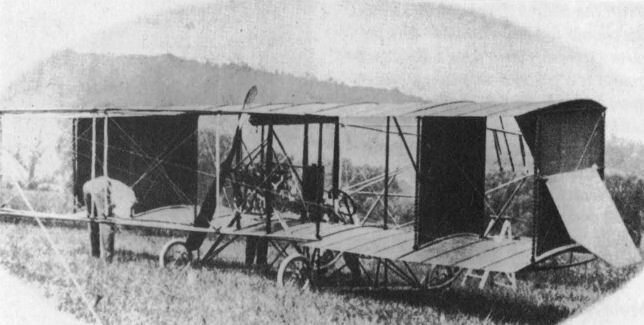 One of two D-5s built for the US Army in 1915 (135hp Thomas 8). 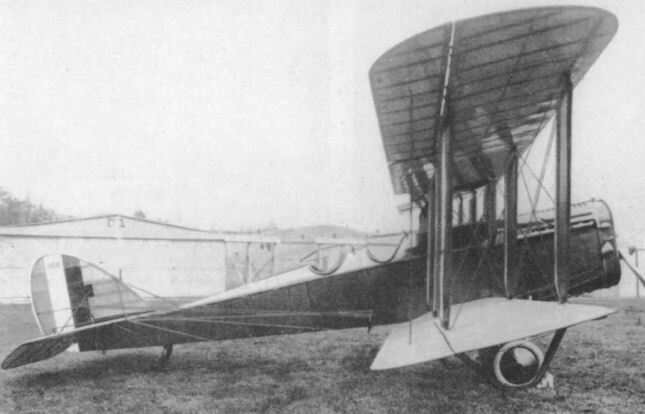 SH-4 A-402 photographed on 18 June, 1918. 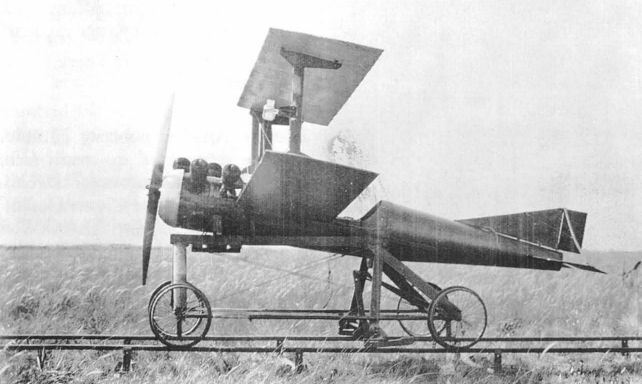 The first Thomas design in its original configuration with large panels mounted outboard of the wing struts. The Model TA in its original form with a 50hp Kirkham engine with single pilot controls. TA Tractor with 50hp Kirkham engine. 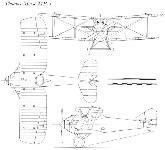 First built in single-bay form, the MB-2 was soon modified to have this two-bay configuration. The performance of the MB-2 (25806) was poor even with a four-blade propeller. O.W.-1 Aerial Coupe used the wings and basic frame of the DH-4, but had a four-seat cabin. XB-1A 64158/P-179 at McCook Field.